Once arrived at Wilhelminenhofstr. 83-85, enter the Rathenau Hallen and keep going straight past the LIDL. 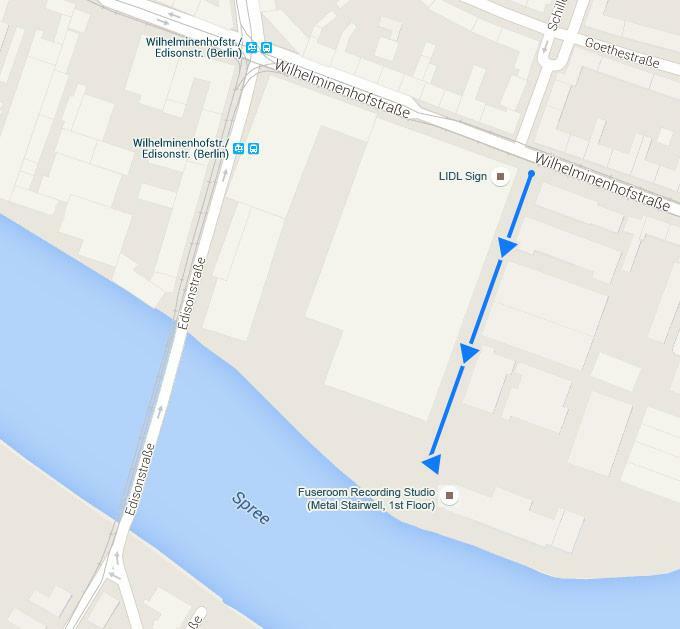 Go straight until you enter a big, open parking lot with gardens in front of you and the river Spree. If you keep going towards the river, you will notice a metal stairwell in front of you, slightly on the left. The entrance is there, at the first floor. 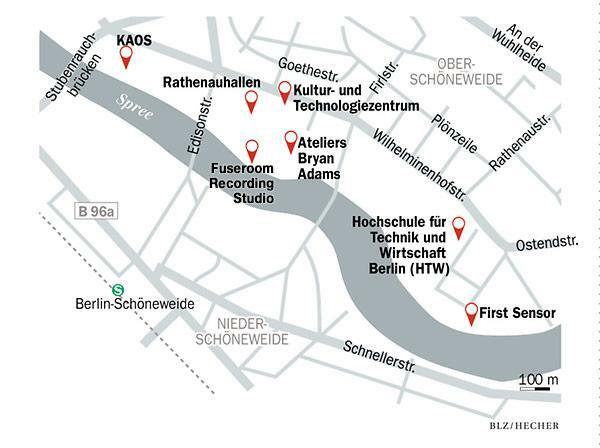 Here is another picture that puts our studio in relation to the other points of interest of the area.